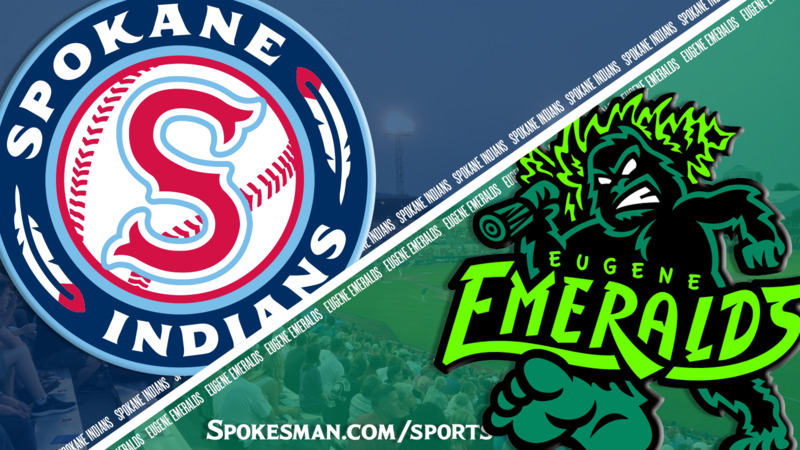 EUGENE – Jeff Passantino struck out eight over six innings and the Eugene Emeralds beat the Spokane Indians 8-3 in the second of a five-game Northwest League series at PK Park on Thursday. The Indians (6-4) maintained a one-game lead in the North Division. Indians starter Ryan Dease (4-4, 5.90) was roughed up for seven runs on 11 hits with no walks and four strikeouts. Manager Kenny Holmberg was ejected in the fourth inning after vigorously arguing an out call at first base. For the second night in a row, Eugene (4-6) jumped on an Indians starter for a homer in the first inning. Grant Fennell crushed a two-run shot – the ninth Dease has allowed this season, most in the league. Eugene’s Jake Slaughter tripled as part of another two-run rally in the second. The Indians scored twice in the third on a throwing error and four straight hits – including a single by Curtis Terry, his league-leading 38th RBI. In the bottom half, Dease allowed back-to-back doubles for a run, and singles by Jonathan Sierra and Fernando Kelli made it 7-2. Austin O’Banion hit his second homer this season in the fourth, the last hit of the game for the Indians. Luke Reynolds’ third hit of the night – his second double – plated another Eugene run in the sixth. Published: Aug. 2, 2018, 10 p.m.